- High strength, good toughness, not easy to break, easy to operate, long service life. - Used to squeeze cylindrical glue. - Made of high-quality stainless steel, one-piece molding technology, sturdy and durable. - Bold push rod, easy to break; ergonomic handle, comfortable grip, ABS engineering plastic; ABS engineering plastic, electroplated handle for the back; special gun pad, solid and durable, stronger thrust. - The tubular handle can be installed by pulling the handle. High strength, good toughness, not easy to break, easy to operate, long service life. Used to squeeze cylindrical glue. Made of high-quality stainless steel, one-piece molding technology, sturdy and durable. 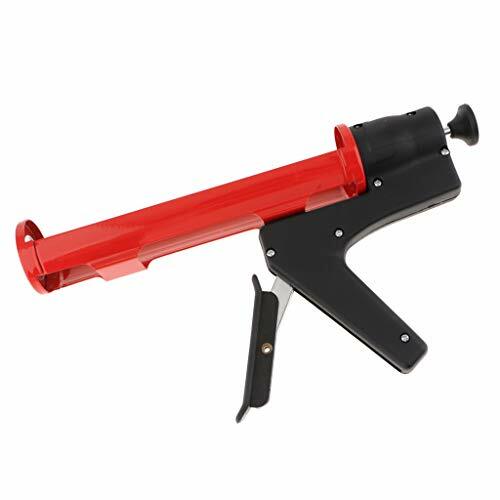 Bold push rod, easy to break; ergonomic handle, comfortable grip, ABS engineering plastic; ABS engineering plastic, electroplated handle for the back; special gun pad, solid and durable, stronger thrust. The tubular handle can be installed by pulling the handle.